Like most of his buddies, he’s consumed with Legos. A healthy fascination, I’ve concluded. And luckily our trip to his paradise was just a few weeks away. When we arrived at Legoland, I asked Leo to pause so I could make a snapshot in front of the gates. Leo makes a lot of faces when I go to make pictures of him, but this is the first time I’ve seen the look of sheer joy. This entry was posted on Friday, March 9th, 2012 at 11:39 am. 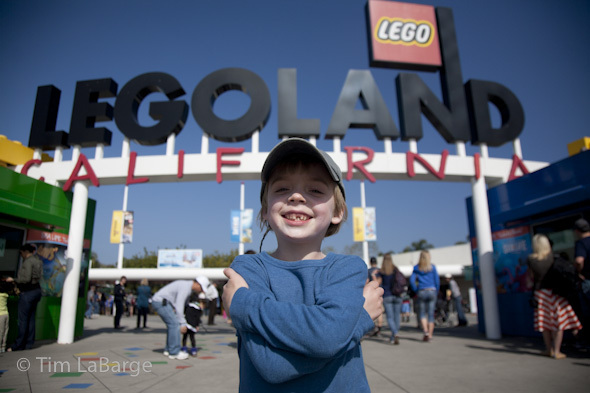 It is filed under family and tagged with family, labarge, legoland, oregon, photography, photojournalist, portland, travel. You can follow any responses to this entry through the RSS 2.0 feed. Leo is happy & “toothless”. Hope to see more photos of Legoland Paradise.